It’s no secret that inbound marketing has evolved over the years, but the driving principle remains the same. The more value you create for your audience, the more likely you are to win them over. From creating compelling content to answering your audience’s burning questions, savvy inbound marketers understand how to transform prospects into long-term customers time and time again. 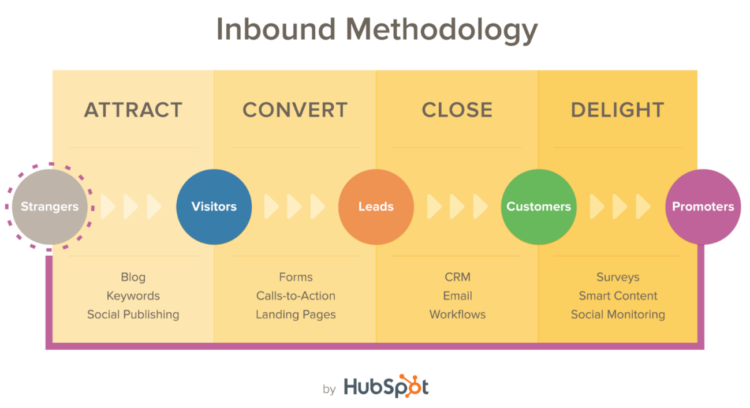 And while the classic inbound methodology hasn’t changed much, the tools that marketers are using to attract and nurture leads certainly have. It doesn’t matter how much you appreciate the value of content marketing and the need to move your prospects from Point A to Point B; it’s the execution phase that often trips up even the best marketers. Reality is so much trickier than theory, and finding the best tools for the job can be an uphill battle. Competition is fierce in the software space, resulting in too many choices and not enough time to test them all. Meanwhile, there’s the issue of budget. While free tools can certainly take us far these days, more robust tools might require a significant financial investment. There’s also the “what-if” of choosing the wrong tools that produce poor results, or have too steep of a learning curve, ultimately resulting in wasted time and money. 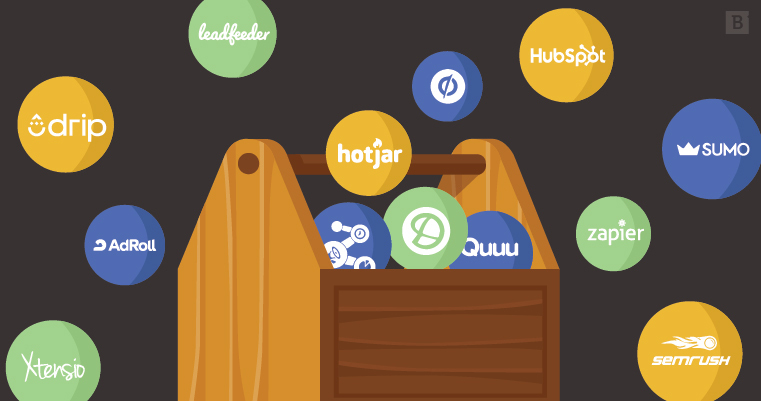 So if you’re trying to iron out what tools your business needs, don’t panic. Perhaps the best way to pick and choose the essential tools for your marketing campaigns is by taking a step back and looking at the four crucial pieces of inbound itself. 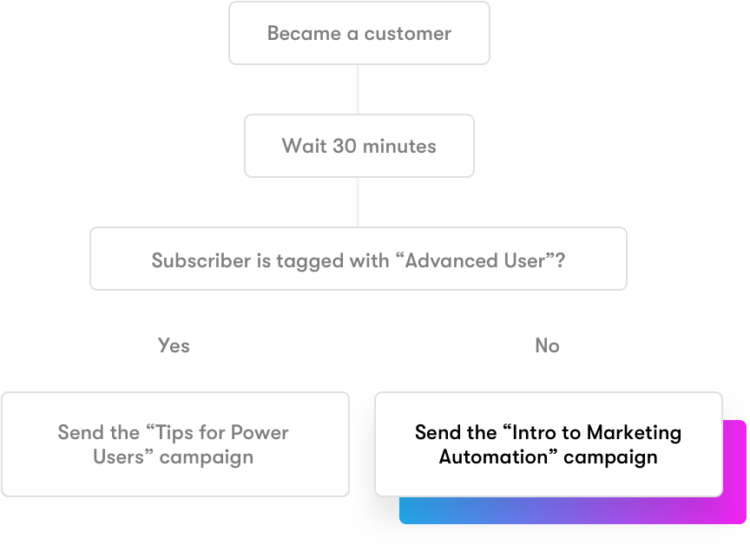 By emphasizing this four-step approach to your funnel, the idea of picking out the right tools becomes much less daunting. That’s what we’ve done below. Here’s our comprehensive list of the best inbound marketing tools that speak to every corner of your campaigns, from attracting prospects to ultimately turning them into delighted customers. Keyword research represents a crucial component of attracting prospects via organic traffic. By developing rich content assets around the right terms, businesses can position themselves as valuable resources for potential buyers. The key is targeting terms that you can realistically rank for, amid seas of competitors. 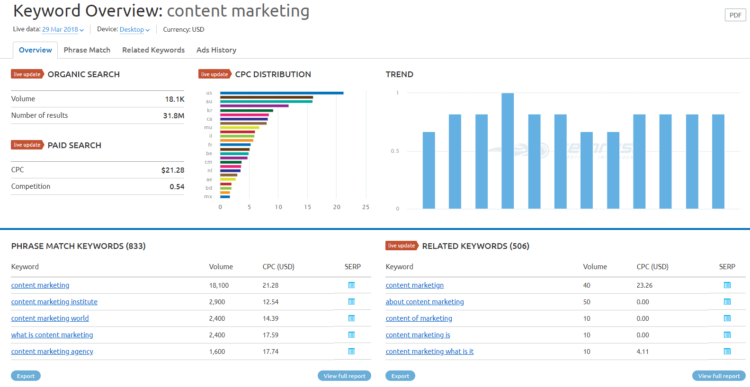 That’s why SEMrush is such a valuable tool, providing a detailed overview of search volume, competing keywords and who’s currently ranking for them. Understanding these data points is critical for content creation and driving traffic as well. Pricing: The platform offers a $99 monthly plan for SMBs, as well as a $199 “Guru” plan and a $399 plan for agencies. 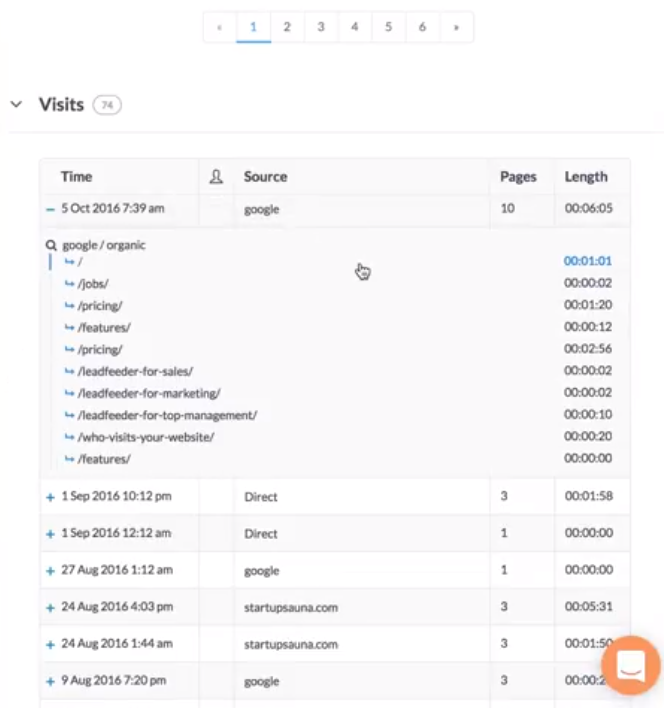 You can perform a few sample searches for free in addition to a limited-time free trial. Considering that today’s customers crave personalization, businesses can’t treat their audiences as a one-size-fits-all affair. Defining specific buyer personas helps to ensure you’re speaking your ideal customers’ language and reaching them on the most effective channels. Xtensio allows businesses to create specific persona profiles for their customers to better define their audience internally. This ensures that everyone from creatives to sales team members are on the same page when it comes time to introduce themselves to a potential prospect. Pricing: The platform offers a limited “Forever Free” option, while their “Pro” and “Business” plans with unlimited folios cost $10 and $20 monthly, respectively. With businesses outputting so much content, it’s easy to see your brand’s mentions get lost in the shuffle. That said, positive feedback and earned media mentions from customers and influencers alike can be powerful social proof to attract new prospects. TalkWalker works to not only alert you to new mentions but allows you to define specific parameters to zero in on the mentions that matter most. This keeps you from having to dig through feeds and instead have those important moments delivered directly to you. Pricing: The platform offers a free limited-time demo, while its basic annual package is priced at $8,400 annually. Again, content moves quickly. Brands are expected not only to share their own content multiple times per day across multiple social networks but also share content published by relevant industry leaders. Quuu helps marketers pick and choose potential pieces to share with their audience without having to dig for them. This results in saved time and a social strategy that posts noteworthy, relevant content to attract new followers. Pricing: There is a forever-free plan with limited profiles, suggestions and scheduling available. The “Pro” plan is priced at $15 monthly, while the “SMB” plan will run you $49, both offering unlimited scheduled posts and six suggestions per day across categories. To compete in the numbers game that modern social media has become, social scheduling is an absolute must-have. Brands capable of optimizing their social calendars for engagement increase not only their likelihood of driving more traffic to their content but also the chance of seeing that content spread. Zoho Social allows marketers to “bundle” various profiles into groups, saving you time by making it easier to schedule posts without having to go back and forth between logins. The added bonus of actionable marketing analytics helps brands understand what your top-performing content is so you can double down on those topics. 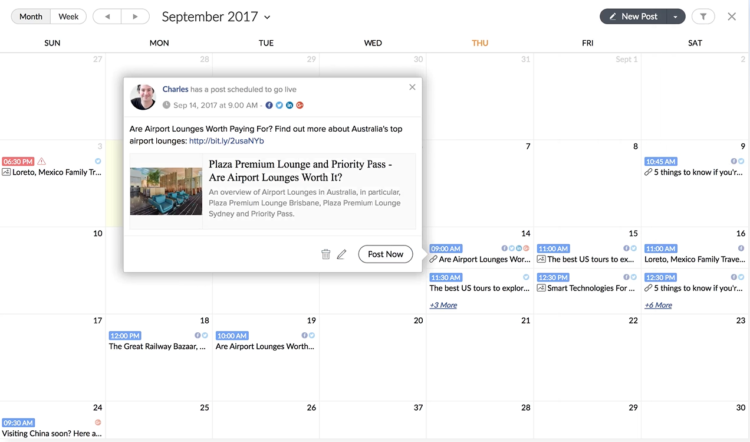 Collaboration tools, a Facebook Lead Ad booking module, CRM integrations and a consolidated messaging inbox make real-time engagement easy for teams. Pricing: Small business packages run between $10 and $50 monthly, while agency packages run up to $125 per month. Although you may be plenty capable of attracting prospects, what happens after audience members land on-site is the true test of your marketing efforts. By optimizing your site’s most important pages for conversions, you encourage visitors to stay on-site and continue through your sales funnel. Unbounce’s landing page builder is easy to use and features A/B testing, so marketers can further refine pages for conversions over time. 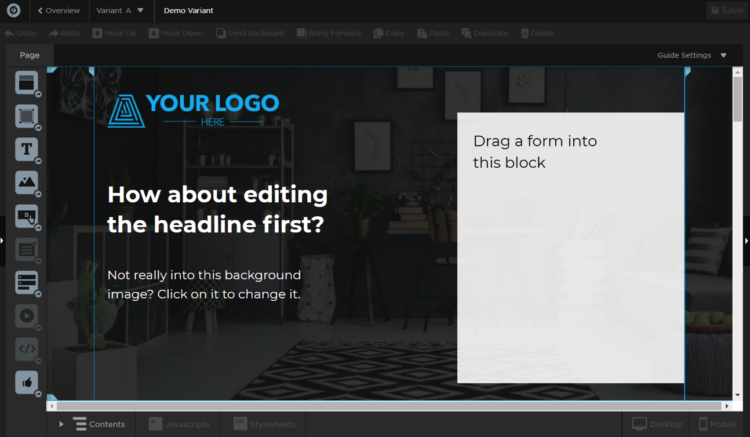 Additional functions such as sticky bars and pop-ups represent small but subtle ways to keep valuable visitors from leaving your site without registering as leads. Pricing: A limited-time free trial is available, in addition to three paid tiered plans, ranging from “Essential” ($80 per month, up to 75 landing pages) to “Enterprise” ($400+ per month, up to 375 landing pages). Inbound marketers of all shapes and sizes absolutely need an email list for effective lead generation. That said, encouraging opt-ins is easier said than done when we have so little time to grab our visitors’ attention. 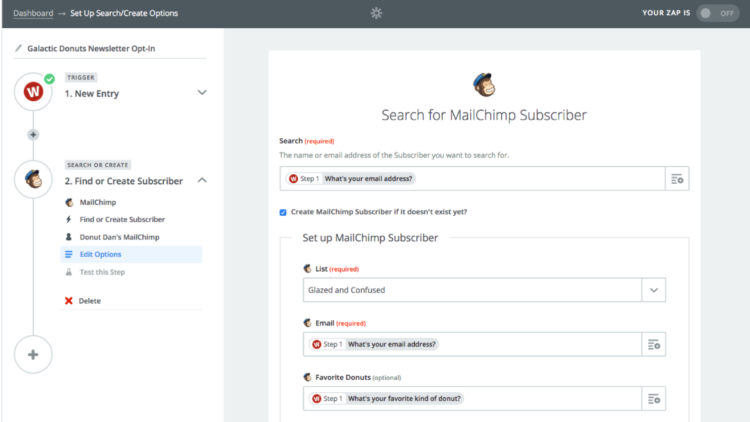 Sumo makes the process easier by allowing marketers to generate quick, custom opt-in forms to grow lists automatically. 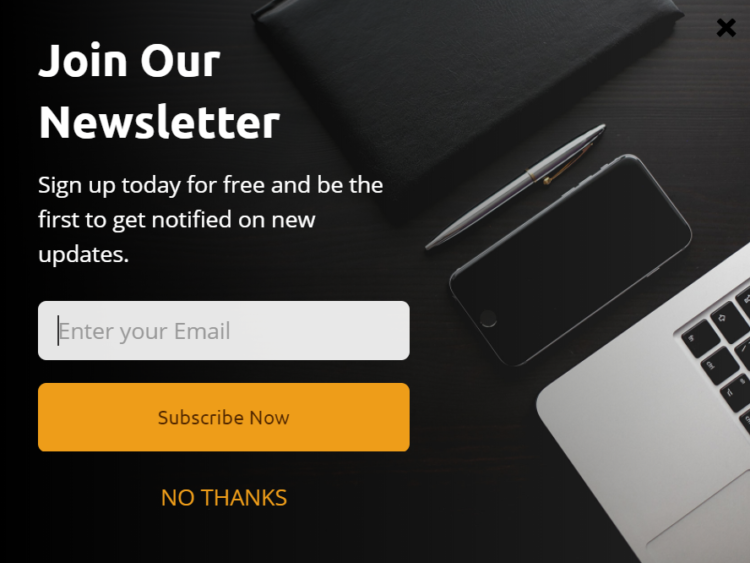 For sites with serious traffic, a tool like this can boost your subscriber base in no time, based on the law of averages alone. Pricing: A free basic package is available, in addition to the platform’s recommended “Small Business” package for unlimited subscribers starting at $60 per month. The platform also offers a $24 per month “Professional” package for small, growing businesses and a $199 package specifically for ecommerce. UX testing is all the rage right now and is incredibly relevant for marketers struggling to drive the appropriate clicks. In fact, something as simple as a color scheme or button placement could be killing your content’s ability to drive conversions. That’s where Hotjar comes in, providing actionable insights on what’s drawing your visitors’ attention and what isn’t. 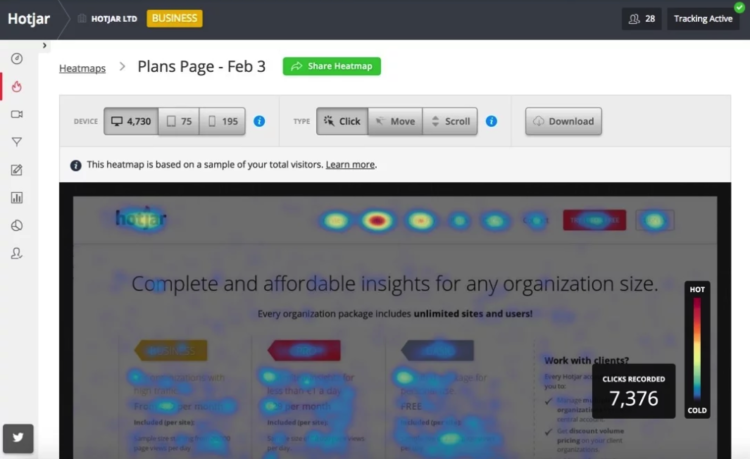 Using heatmaps, session recordings, popup survey questions and other ways to gather feedback, this tool gives you the insights you need to conceive of better conversion optimization hypotheses. Fine-tuning even the most minor details of your site can make a major difference in terms of conversions. Pricing: In addition to a free limited-time trial, Hotjar offers tiered pricing plans based on page views. For example, a site with 20,000 views per day costs $89 per month, while 50,000 daily pageviews costs $189 per month. The better you track the behavior of your visitors, the easier it is to convert them. When you drill down to individual pieces of content someone landed on, or pages where they spend the most time, you can essentially tap into their pain points and desires before they even speak to you, giving you intelligence that can help close the deal when the time comes to pitch. Leadfeeder provides a granular look at your visitors, including a detailed breakdown of what companies they likely work for, where they entered on-site, where they spent their time and when they eventually bounced. This information, fully segmentable, gathered using data from Google Analytics and pushed to the CRM of your choice, can clue you in immediately on who your most qualified prospects are and who’s not worth pursuing. Pricing: A free, 14-day demo is available. Additionally, the platform offers tiered pricing based on companies tracked: $53 per month for 200, $89 for 400, and so forth. Just because you weren’t able to convert someone the first time they saw your content doesn’t mean they’re a lost cause. Ad retargeting gets your brand messaging in front of visitors in the form of banners on third-party sites and platforms. It can take dozens of touches to make an audience member sales-ready, so retargeting provides you with much-needed additional chances to convert. Adroll offers options for serving up ads to the same people across multiple channels, to do exactly that. Through display ads, social ads and targeted emails, you can speak directly to those who might need an extra push to convert. CRMs are essential to marketing teams of all shapes and sizes, but they are perhaps most essential when used to hand marketing leads over to sales teams. When everyone is on the same page in terms of the buyer’s journey, both departments win as a result. 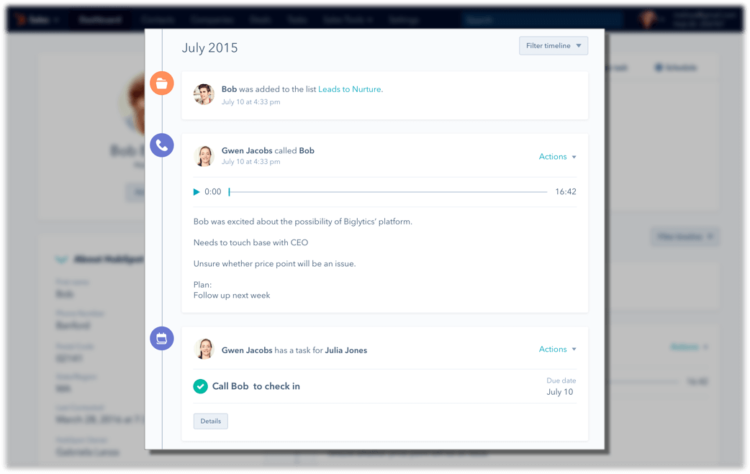 The Hubspot CRM creates a detailed timeline of customer interactions across all channels to help marketers determine the best next steps – and it’s all automated. The ability to track, score and nurture leads within a CRM essentially streamlines the process of closing them. Pricing: A limited version of the platform is available for free, with the “Starter” package priced at $50 per month and up to $2,400 monthly for the “Enterprise” package. The amount of information we can gather on any given lead these days is insane. That is, if and only if you’re enriching your lead data for a more “complete” profile of those interested in buying from you. 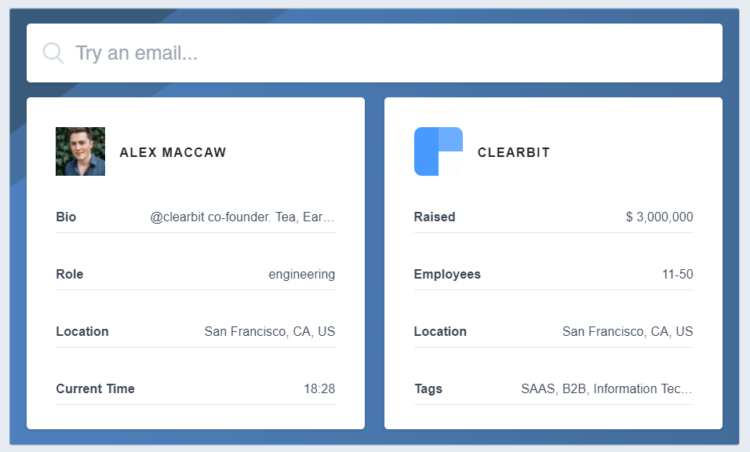 Lead enrichment via Clearbit can help fill in those gaps. 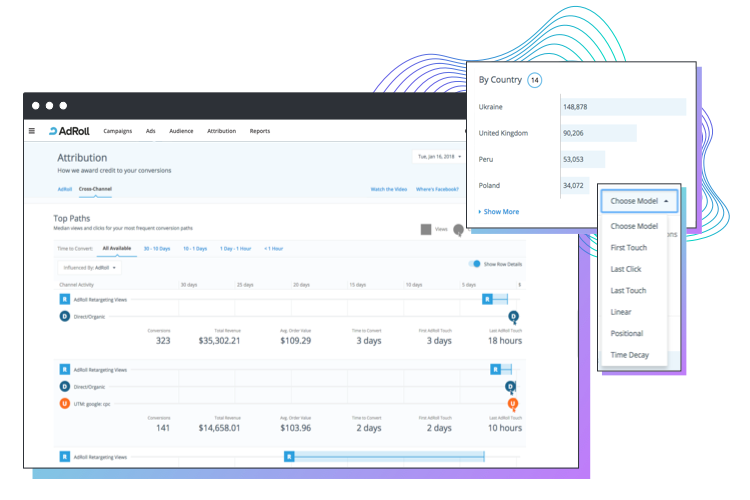 With over 85 tags and data fields to compliment your current CRM data, enrichment provides key details on your leads (think: company revenue, employee headcount) that could make all the difference when qualifying or pitching. Pricing: Pricing varies based on integrations, but a sample Enrichment package integrated with Salesforce costs $499 per month billed annually. As noted earlier, customers prefer a personalized experience. This rings especially true for email marketing, where one-size-fits-all messages often end up going unread or otherwise in the spam folder. 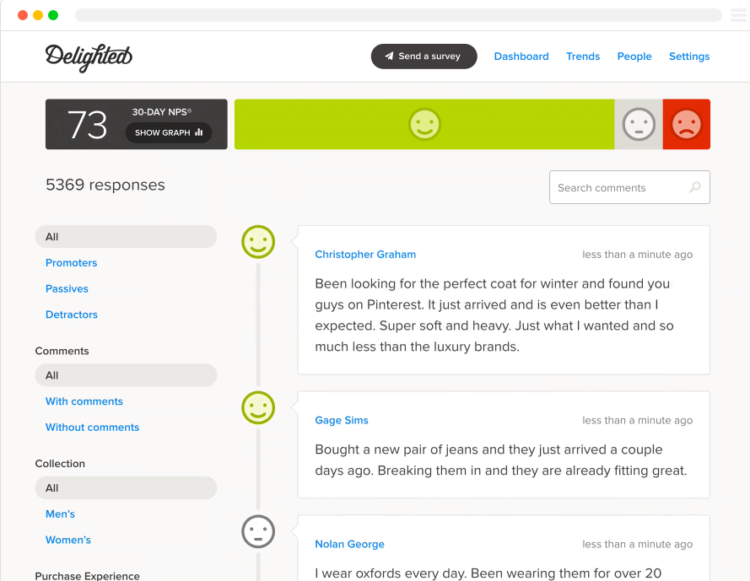 Drip makes it easy for marketers to send emails based on specific triggers and interactions. Based on behaviors such as clicking on a certain link or not responding to another message, marketers can tweak their emails to better speak to those specific leads, automatically. Pricing: Free trials are available at all tiers, and pricing is determined by the number of subscribers you have. For example, the “Basic” package is $41 monthly for 101 to 2,500 subscribers, while the “Pro” package is $83 for up to 5,000. In an era of content marketing dominated by video, webinars are powerful tools for educating and converting customers. ClickMeeting’s webinar platform is perfect for onboarding leads and showcasing your brand’s value simultaneously. As teaching your audience is a cornerstone of modern digital marketing, the ability to continuously roll out webinars is a game-changer, given the popularity of video. Pricing: Pricing is tiered based on the size of your webinars. For example, a 50-person webinar on the “MyWebinarsPro” plan would be $35 per month while 100 attendees would be $65. No matter how lean your business might be, there’s a solid chance you’re juggling between multiple tools and marketing platforms on any given day. Zapier allows marketers to reign in some of the insanity and turn your marketing campaigns into a well-oiled machine. Integrating tools is crucial for saving time and ensuring that automated conversion processes go smoothly. Pricing: The platform offers a forever-free plan in addition to smaller business plans at $20 per month to team plans at $250 per month. Facebook’s recent algorithm change is driving many marketers away from Pages and toward paid promotion. However, Facebook Groups provides a constant channel to nurture leads through exclusive content and offers that once again demonstrate your value. Given that group members are generally active and willing to engage with your content, reach becomes much less of an issue. 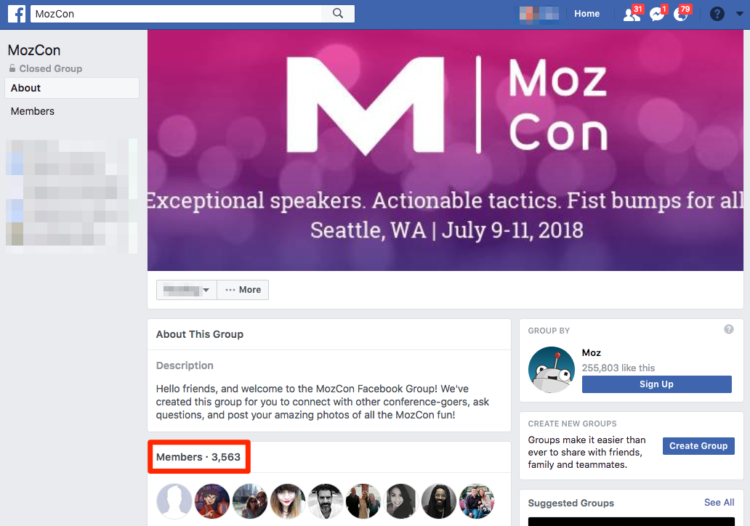 Your brand’s Facebook group may be one of the most effective channels you can invest in to turn your users into a proper community, helping each other to derive the most value possible from your product. Pricing: Facebook Groups are free for marketers. You might be happy with your customers, but are your customers happy with you? Given how vocal modern buyers are, having a pulse on their level of satisfaction at any given time is essential. Pricing: New users can survey up to 250 customers for free, with tiered pricing depending on the volume of people surveyed. The most popular plan is priced at $89 per month and allows for 2,500 surveys. Responding to customer requests in a timely manner is a must for retaining them for the long term. Failure to pay attention to even the smallest inquiries could result in a lost fan. 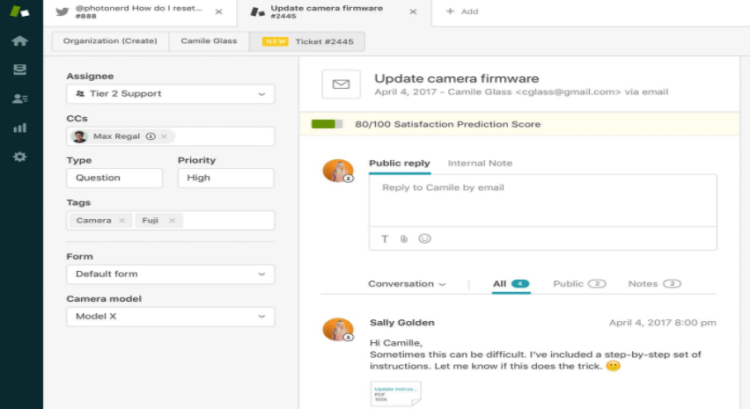 Zendesk offers marketers a consolidated, collaboration-ready platform to stay in touch with customers and quickly respond to their concerns without breaking a sweat, regardless of the platform on which they originally reached out to you. Pricing: Price is based on which features you use, all of which can be trialed for free. Support ticketing varies from $5 to $199 per month depending on the number of agents required, while chat support is up to $59 based on the same parameters. Marketing tools are essential to effective inbound programs, plain and simple. If you’re overwhelmed by your options for the best inbound marketing tools, feel free to explore and test them as you see fit. Most of them offer either a free trial or a forever-free solution, so there’s little at risk aside from your time. These tools can truly supercharge your marketing campaigns, but it all starts with a commanding grasp of inbound theory and its key objectives. Attract. Convert. Close. Delight. As long as you have solutions in place to accomplish these things, it doesn’t matter how you go about it. A consultant, social media specialist and blogger based in Tel Aviv, Gabrielle Sadeh helps brands share their voices and scale their businesses through powerful digital marketing strategies. The best way to get in touch with her is via her LinkedIn profile.